The FA has announced the clubs which will participate in The FA Women’s Super League [Tier 1] for the 2018-19 season. 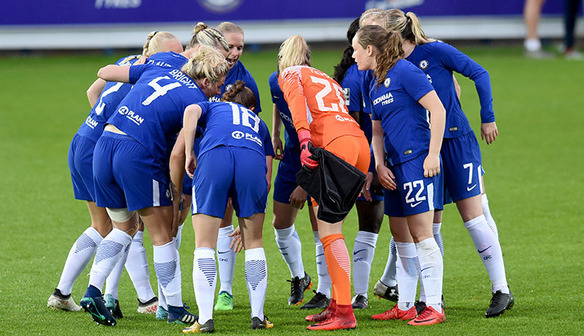 The decision in respect of which clubs were successful was made by The FA Women’s Football Board, following a detailed review and assessment of all 15 applications which were received and the outcome of Sunday’s FA Women’s Premier League Championship Play-Off Final. As part of the application processes, all clubs are required to sign a licence with The FA and the offers from The FA Women’s Football Board remain conditional until it is received. Decisions are subject to appeal, to be made within 14 days of clubs receiving the decision in writing. * approved within the open application phase. Baroness Sue Campbell, The FA’s head of women’s football said: "Today’s announcement is the result of two years of planning and a milestone within our delivery of The Gameplan for Growth strategy. "The revised competition structure will positively impact on the delivery of the women’s game across all levels, both on and off the pitch. "Such is the strength of women’s football in this country, there have been some difficult decisions to make but they’ve been made with the sport’s best interests at heart. "This is a hugely exciting time for the game and I am hopeful that we will look back upon this as one of the most significant decisions made in its history." The 2018-19 season begins on the weekend of the 18 & 19 August with the opening round of group fixtures of the Continental Tyres Cup. FA Women’s Super League fixtures commence on the weekend of the 8 & 9 September.